December of 2005 is a month that will live in infamy — or at the very least, it will amongst sports car enthusiasts. 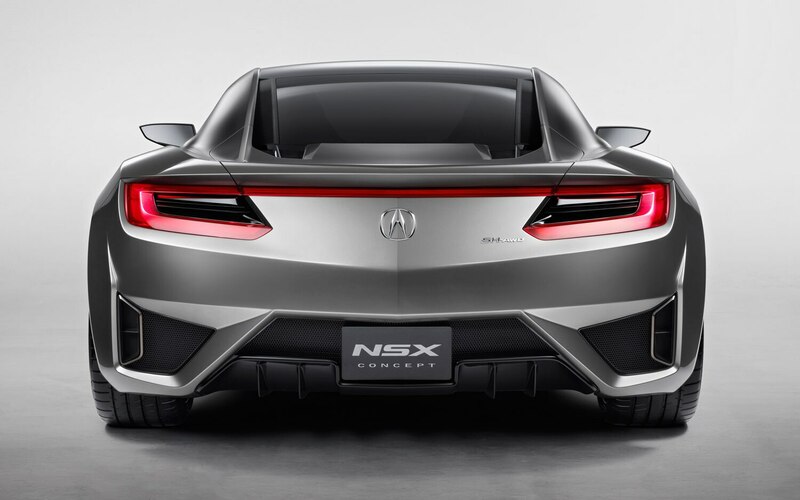 Following a formal announcement five months earlier that the NSX sports car would come to an end, employees at Honda’s Suzuka facility in Japan build the last Acura NSX destined for North American customers. Fast forward seven years. 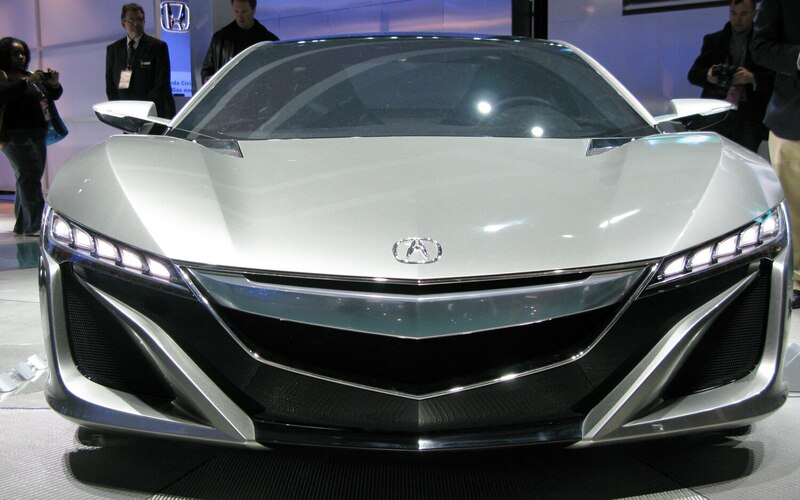 Acura invited a select group of journalists out to its dealer meeting in Las Vegas for a taste of things to come. 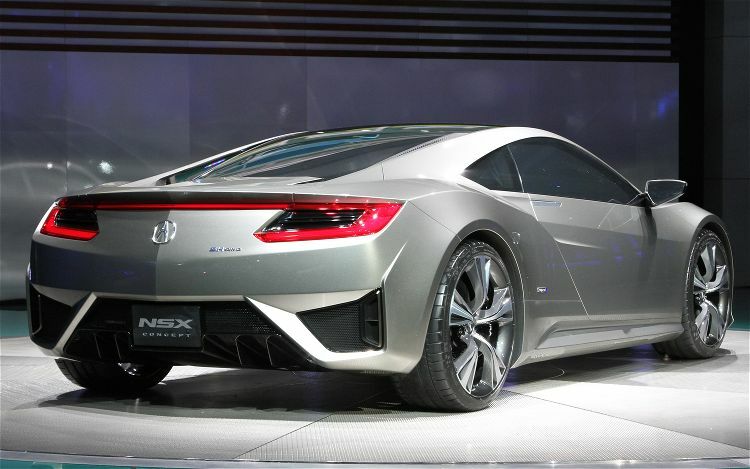 Along with the new ILX sedan and RDX crossover, we laid eyes on the shapely NSX concept shown here — and, better yet, received word that it previews an actual production car. 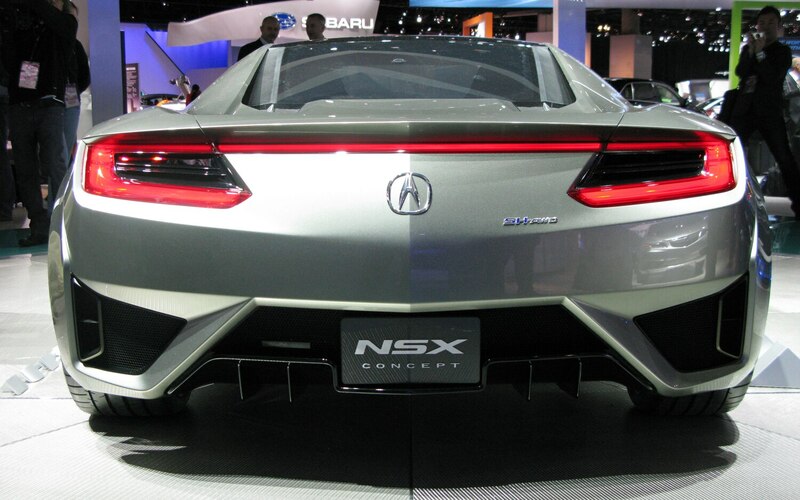 That immense lull between NSX models wasn’t exactly intentional. Honda had been working on crafting a flagship sports car for quite a while, but what once seemed like a clear-cut plan quickly became tumultuous. True to its word, a concept foreshadowing such a vehicle emerged in early 2007. 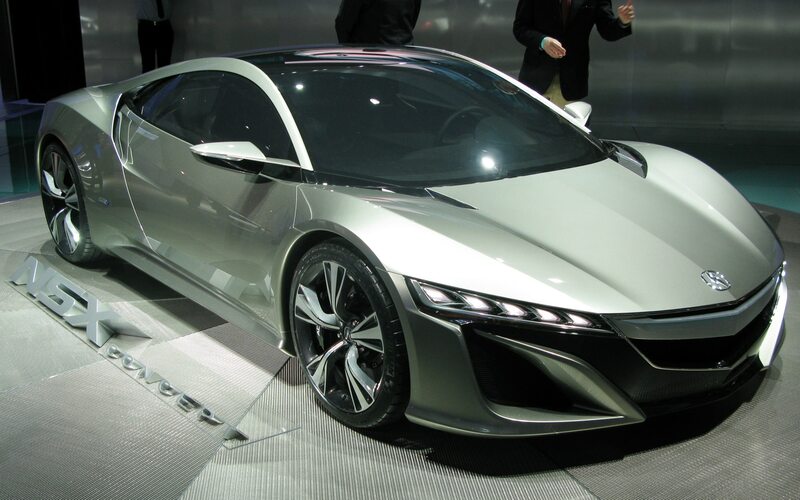 The Advanced Sports Car Concept, which debuted at the North American International Auto Show in Detroit, was said to hint at a new premium sports car, but many enthusiasts had trouble calling it the NSX. The reluctance was understandable, as the formula Honda was pursuing was a far cry from what we’d seen before. The ASCC eschewed a V-6 for a ten-cylinder engine, and also adopted a front engine layout and an all-wheel-drive system. Spy photographers subsequently caught prototypes testing on public roads, but the project wouldn’t last for long. In 2008, an unstable automotive market and questionable global economic stability led Honda to reconsider its priorities – not surprisingly, an expensive top-tier sports car wasn’t exactly one of them. 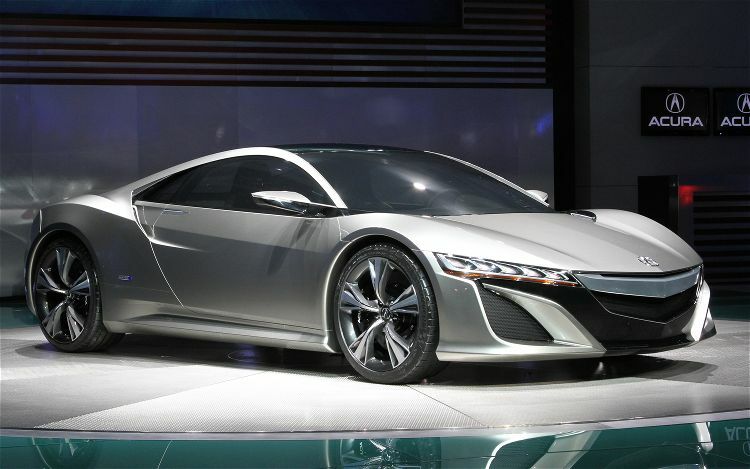 Although the development of a road car was canceled, the front-engine NSX project served as the basis of Honda’s HSV-010 GT race car for the Japanese Super GT project. 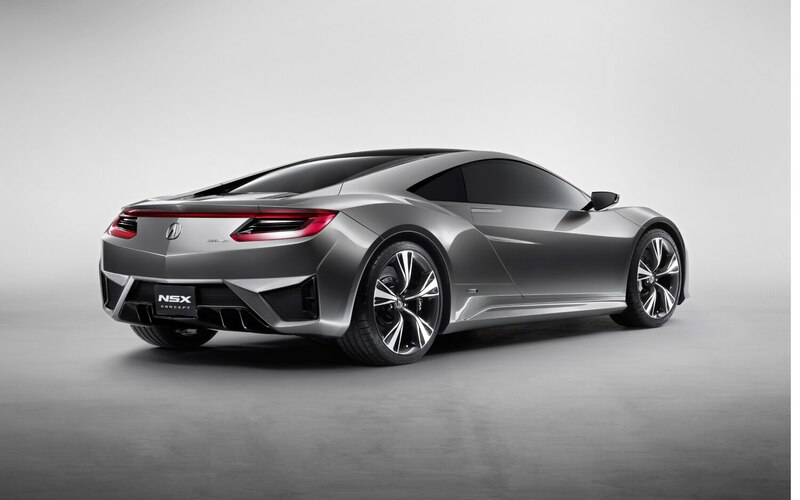 Hope blossomed once again in early 2011, when Takanobu Ito, CEO of the Honda Motor Company and a former engineer on the original NSX project, confirmed his company was once again working on a new NSX. 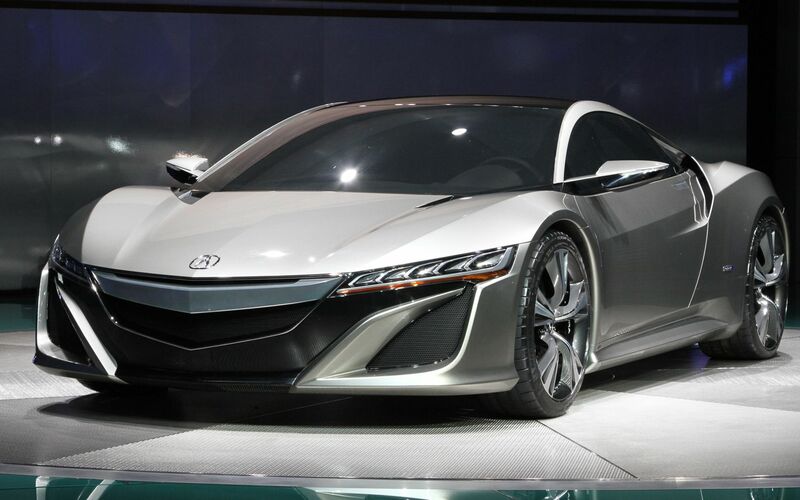 This latest approach shares virtually nothing with the company’s last stab at an NSX successor. 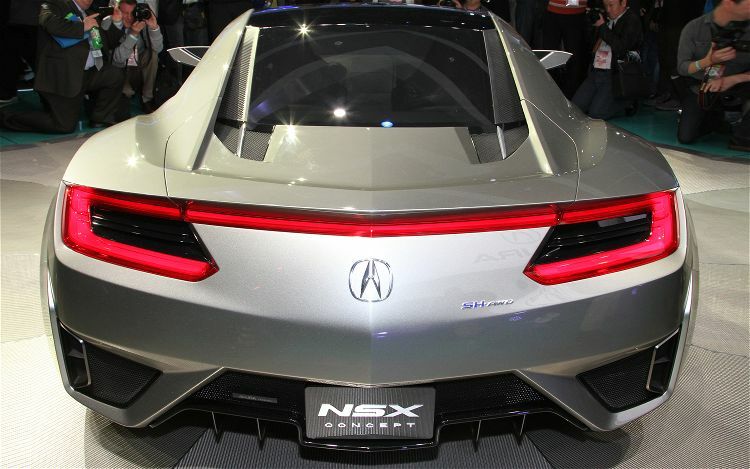 Previous ideas, notably those that called for a ten-cylinder engine to be placed ahead of the passenger compartment, have been discarded in favor of an approach officials believe is much more in line with Acura’s brand identity. 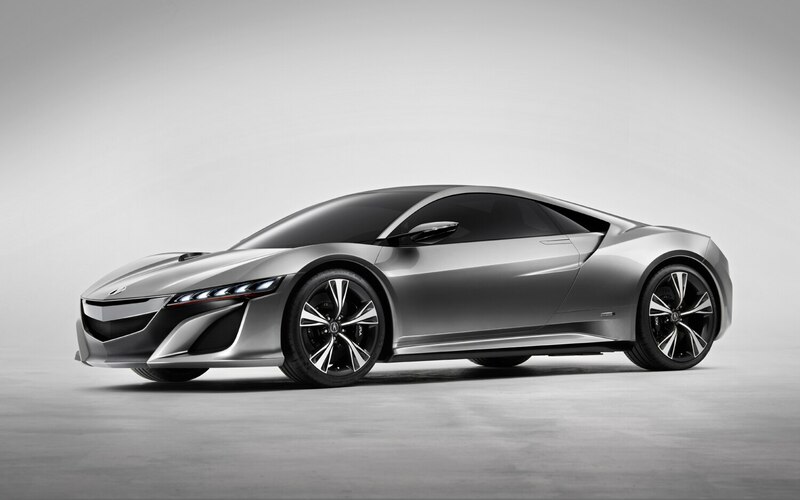 As was the case with the original, the new NSX places its engine smack in the middle of its chassis. That engine will likely be a V-6, but that’s where the similarities with the original car end. 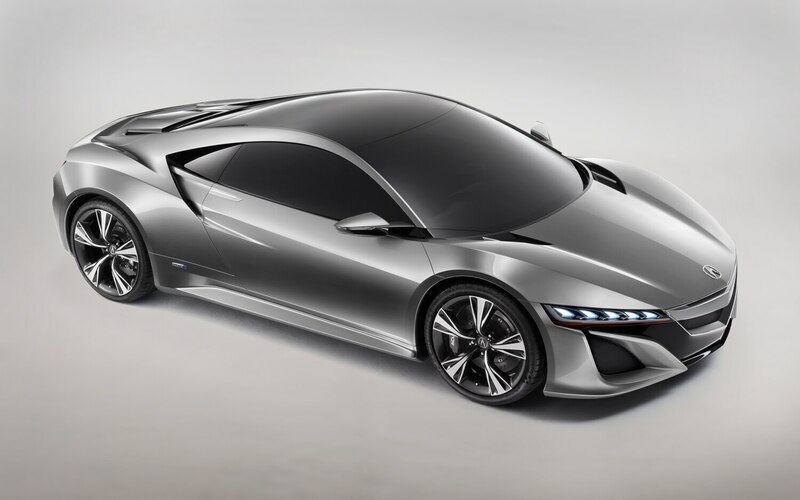 As was the case nearly two decades ago, Honda engineers view the car as a halo vehicle, one ideal for showcasing its engineering prowess and its latest and greatest technologies. 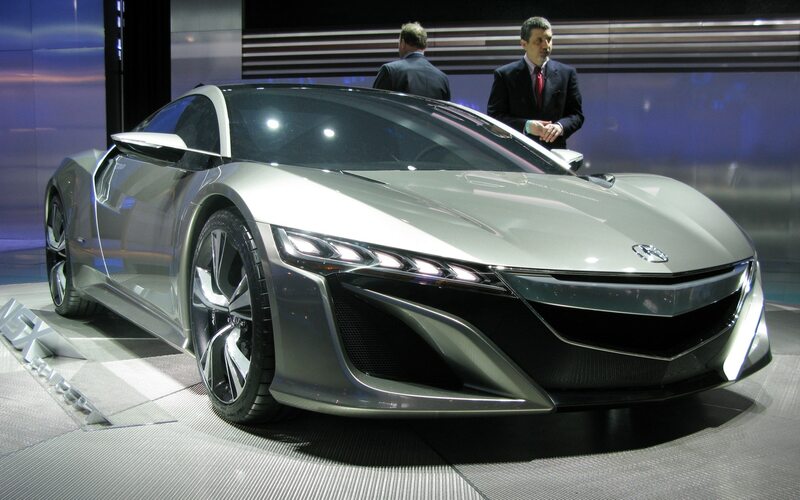 Subsequently, the NSX will utilize a form of the new hybrid Super Handling-AWD (SH-AWD) system. 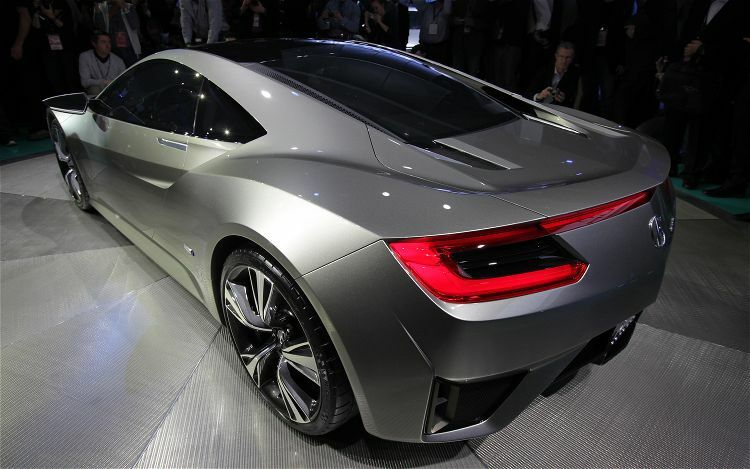 The V-6, likely a 3.5- or 3.7-liter, will drive the rear wheels by means of a seven-speed dual-clutch gearbox. 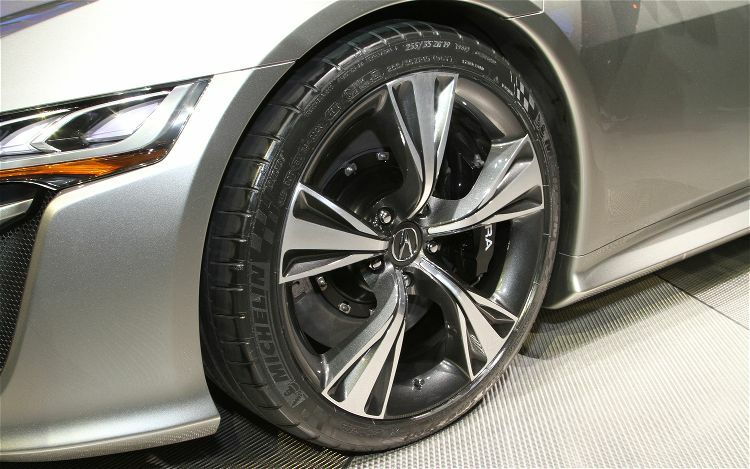 Unlike the current SH-AWD system, which would send power to the front wheels by way of a driveshaft and a mechanical differential, the NSX’s front wheels will instead be powered by a pair of electric motors. As each motor is assigned to a wheel, the system has the ability to accelerate the outer wheel in a corner, creating a yaw moment that improves the car’s ability to turn in and rotate. All told, the system could produce a net punch of about 400 hp. Of course, packaging that sort of technology in a plain wrapper wouldn’t suffice for a halo car. 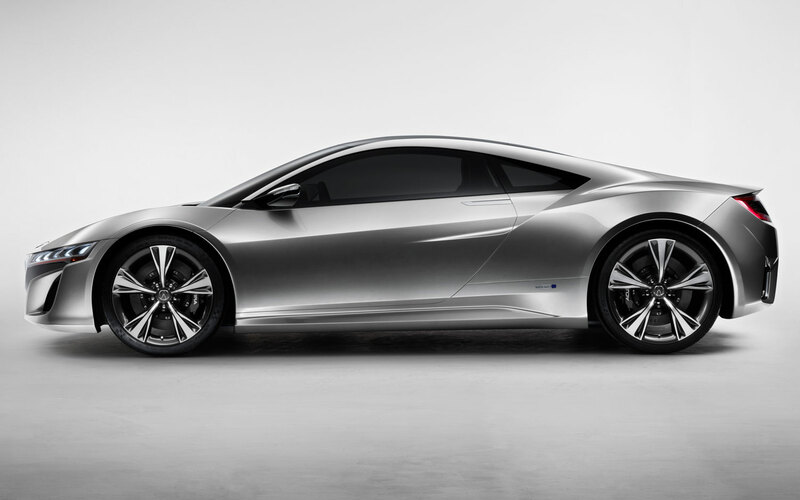 Love it or hate it, the new NSX’s sheetmetal will certainly turn heads. Despite borrowing the Audi R8’s general proportions and stance — i.e. wide track, cabin pushed close to the front axle, etc. — the car has a visual identity all its own. 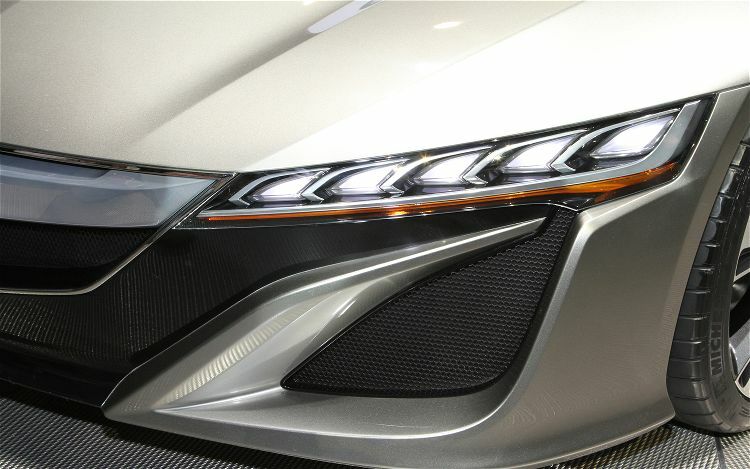 Acura’s edgy design language takes center stage, but the beleaguered “beak” grille — long a complaint of previous Acura designs — is thankfully nowhere to be found. Thin LED headlamps give way to a panel that dominates the upper half of the grille. The car’s side panels are relatively clean and unspoiled, interrupted only by a rather dramatic light kicker above the rocker panels and a character line that neatly folds into a pair of buttresses that wisp away from the roofline itself. 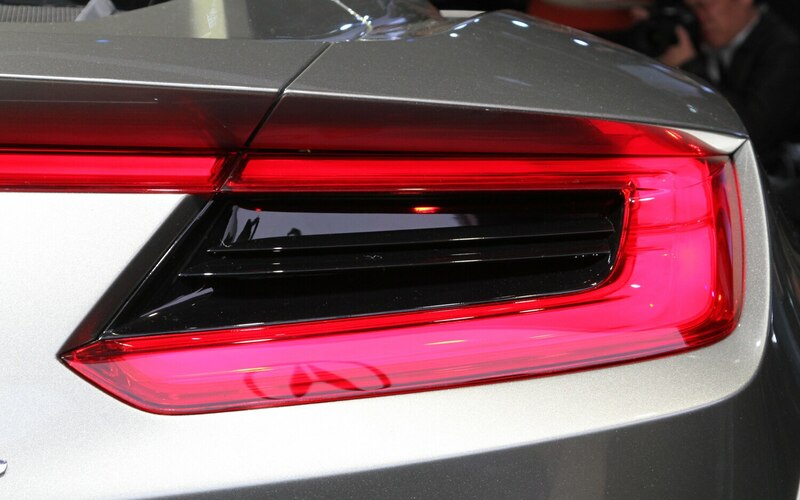 A thin line of LEDs wraps itself into the rear fenders, runs the entire width of the rear fascia, and effectively serves as both brake lights and a center-mounted stop lamp. The display model we were shown lacked a full interior, but appeared to boast a waterfall instrument panel that evolved the twin cockpit theme used in the original NSX. 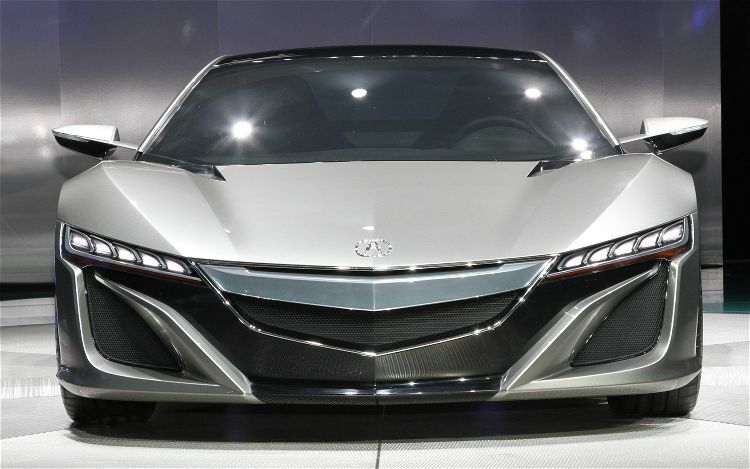 Although Acura’s only showing the car in coupe form at this point, there are rumblings of a convertible variant, fueled in part by the appearance of a similar-looking roadster on the set of the forthcoming Avengers super hero movie. If approved for production, expect that car to differ only in terms of its decklid, rear fenders, and side character line. 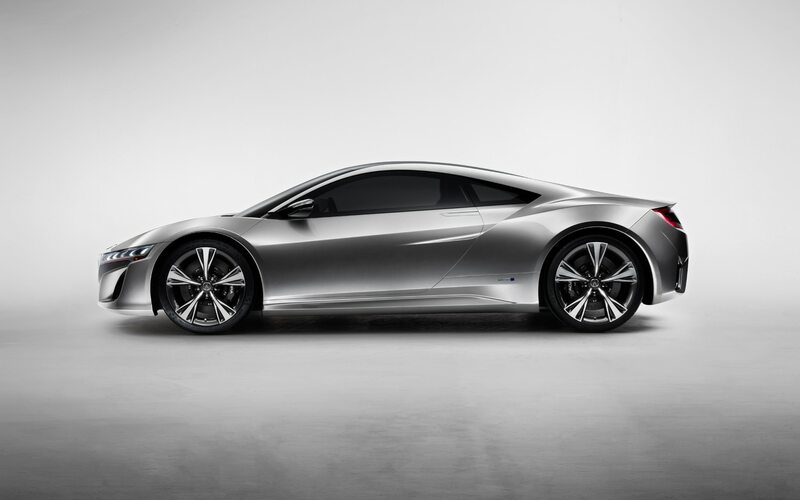 It’s still unclear if the NSX will utilize its own architecture, or perhaps share its platform with another vehicle. It is, however, fairly certain to enter production. Officials tell us the development program is still in its infancy, but the car could enter series production as early as 2015. 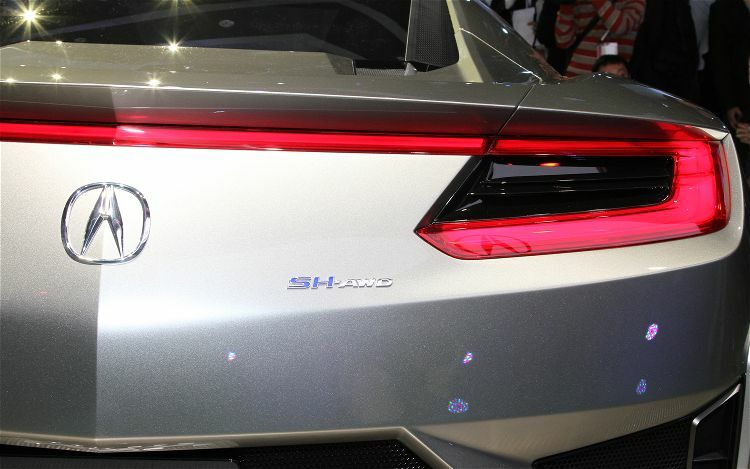 Will a hybrid sports car scare off some purists? Perhaps. But it doesn’t necessarily equate to a vehicle that’s not enjoyable to drive. 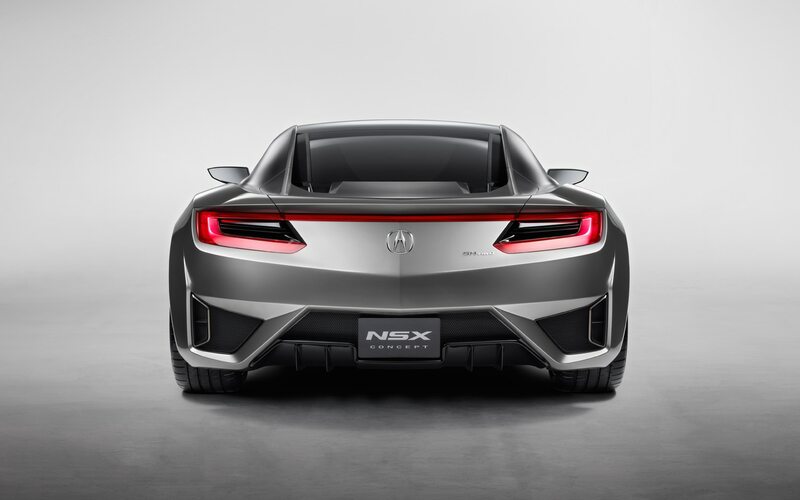 As was the case with the first NSX, engineers are striving for a balance between driving nirvana and daily tractability — albeit this time with an ecological conscience thrown in for good measure.